To view your free Monthly Tarotscope, click your sign in the Zodiac Wheel or select from the Zodiac Sign Table. Now, get YOUR MONTH AHEAD, by the Stars! 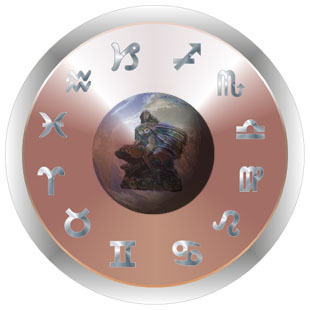 Predicting the future using the horoscope is one of the traditional uses of Astrology. Horoscopes are used by millions today, as a reliable guide and forecasting tool for future trends and tendencies. The Tarot is a mystical book that can give insight into the tendencies revealed in the stars. Tarot too is a reliable forecasting tool, using archetypal symbols to understand ourselves and our roles in the world..
Our new Monthly Tarotscopes are a reading of the energy surrounding your Sun Sign. They detail your Focus, Romance, Career and Overall Outlook energy. Or you can consult our regular astrology! To read current FREE monthly tarotscopes, click your sign in the table above.